Mike Dalton's ascent through the Red Sox system was called rapid in spring 1987. Dalton was in single-A Winter Haven in 1985, then jumped directly to AAA Pawtucket in 1986. Helping him along was his motion to the plate, Red Sox farm director Ed Kenney told The Quincy Patriot Ledger in March 1987. "He has a herky-jerky delivery which bothers hitters," Kenney told The Patriot Ledger. "He also has excellent control." But, while Dalton moved up the Red Sox system quickly to AAA, he never made that last step to Boston. He did make it to the majors, though, pitching in four games for the Tigers in 1991. Those four games were the extent of his major league career. Dalton's look at the majors came eight years after the Red Sox selected him in the 15th round of the 1983 draft. He played his first year at short-season Elmira, posting a 2.65 ERA. He spent the next two seasons advancing slowly, staying at single-A Winter Haven both years. His ERA his first year was 3.18. His second year, it was a stellar 1.12. He also saved 18 games in 1985, getting one in a late June game. 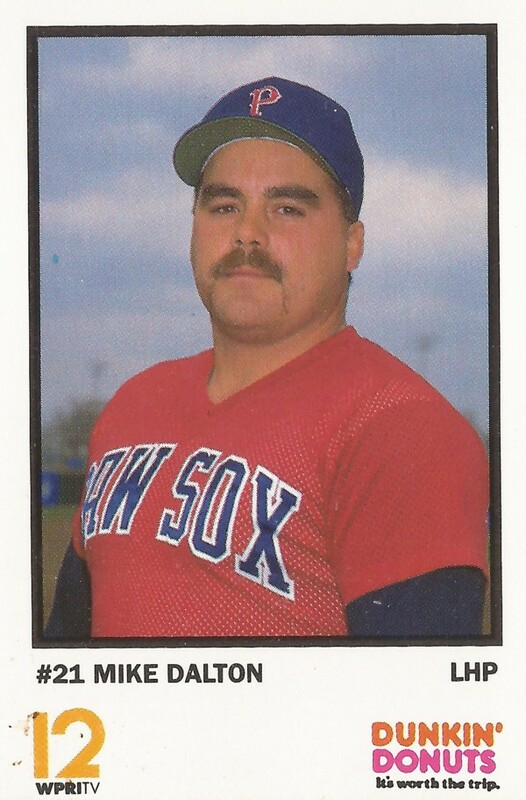 Dalton played 1987 largely at Pawtucket, though he saw time at AA New Britain. He spent all of 1988 back at New Britain. He threw a two-hitter in July. But, in December 1988, The Associated Press called Dalton one of the top lefties at New Britain. But The AP also noted Dalton was not considered a top prospect. 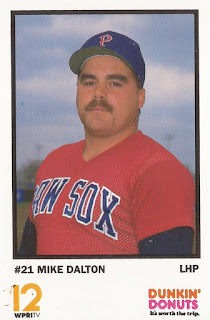 Dalton stayed with the Red Sox through 1990, playing all of 1990 at Pawtucket. For 1991, Dalton signed with the Tigers. In spring 1991, Dalton impressed his new team, striking out in one two-inning outing. He started the season at AAA Toledo, then got his call-up in late May. Dalton got into four games, totaling eight innings, giving up three earned runs. Dalton got a double play in one outing, though he later gave up two solo home runs. His last outing was taking part in a 15-2 loss June 16. He returned to Toledo shortly after. For 1992, Dalton signed with the Pirates. Late in that spring, Dalton started a game and, of the first 20 batters he faced, he struck out 11, according to The AP. Despite that performance, it was back to AAA, to Buffalo for the year. Dalton's final year came in 1993 and he returned to Buffalo. But in June, at least one columnist, for The Pittsburgh Post-Gazette, thought the Pirates should take a look at Dalton. But, if they did, they didn't bring him back up.